﻿October 5: Wilderness and Writing, an author panel with local authors Peter Donahue, Chris Solomon and Sam Lucy, and Stehekin author Ana Maria Spagna, facilitated by Ashley Ahearn. November 2: Libraries and Rural Economic Development, Ed Marquand from Mighty Tieton. Don't miss this important conversation about the role of libraries in communities and economic development with an expert in both. December 7: The Vital Role of Libraries in Community in the 21st Century, Ray Johnston. Architect Ray Johnston and his wife Mary were behind the incredible effort for Seattle Public libraries called Libraries for All. Come to hear and discuss the ways libraries fill critical roles in building community in today's world. December 9: Hopes and Dreams: A Community Conversation. 2-4 PM, Red Barn, Winthrop. What do you want to see in our new library? Please plan to attend this important community conversation facilitated by architect Ray Johnston on what you want in your new library. First Friday January 4, 2019: The History of Books, with University of Utah’s Dean of Special Collections, Greg Thompson. 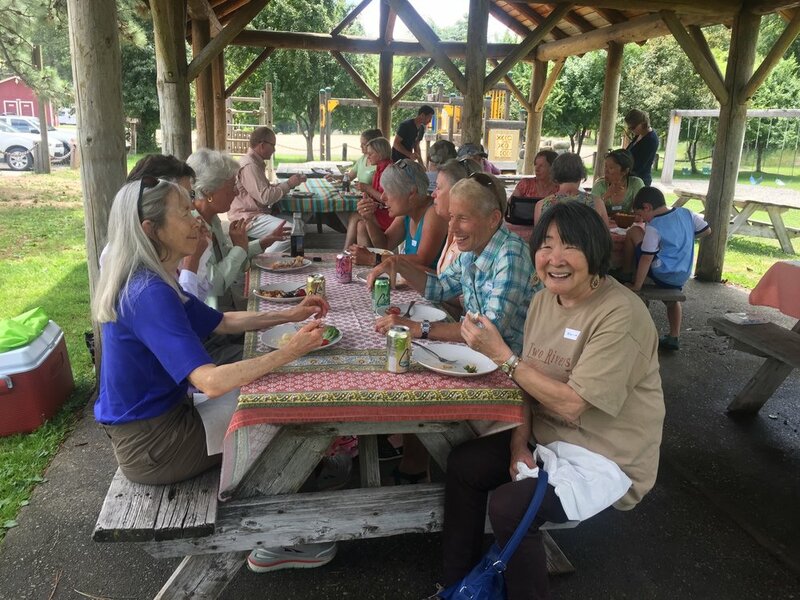 June 26th, 2017 was the first annual Friends of the Winthrop Library Volunteer Brunch at the Winthrop Park. THANK YOU to Sally, Gloria, and all of our amazing volunteers!